Competitive positions are available for highly motivated and promising individuals seeking either PhD or Postdoctoral Research Fellowship related to Human-Animal Interaction with Dr. Maggie O'Haire. Her research programs focus on the scientific evaluation of Human-Animal Interaction outcomes for a variety of human populations, including children with autisum spectrum disorder, typically-developing children, persons with disabilities, and military families including veterans with posttaumatic stress discorder. Aspiring graduate students can pursue their study in either Animal Welfare or Human-Animal Interaction with the Department of Comparative Pathobiology. The objective of this program is to prepare students for careers in research, teaching, extension/engagement and service. The core aim of the Animal Welfare program is to facilitate the well-being of animals through understanding applying concepts pertaining to animal ethology, physiology, psychology, husbandry and management, ethics and economics. The core aim of the Human-Animal Interaction program is to evaluate both the beneficial and adverse effects of interactions between humans and animals for both the human and animal counterparts. Purdue Veterinary Medicine has a mission to advance global animal and human health and well-being through excellence in learning, discovery and engagement. We offer both Doctor of Veterinary Medicine and Veterinary Technology programs. The veterinary profession is a diverse, exciting and rewarding occupation that allows for pursuits in a variety of fields, including the human-animal bond. Students can also pursue a degree in Animal Science as an undergraduate student with core concentrations such as Behavior/Well-being or as a graduate student. Animal Sciences facilitates scientific research and technology transfer for efficient and sustainable production of high quality animal products with optimal animal well-being, enhancement of the human diet, and advancement of sound environmental practices. Seminar in Animal Welfare and Human-Animal Interaction is for discussion of current topics in animal welfare and other areas involving the interaction of humans and animals. Outside speakers will present their perspectives in various areas. Journal articles will also be presented and discussed. A multi-disciplinary course that focuses on the scientific and ethical basis of existing and proposed animal care and welfare policies and practices. Students will review basic concepts pertaining to animal care and well-being. In class discussions, group and individual projects will facilitate student understanding of the scientific and socio-ethical bases for current voluntary and legislative efforts to regulate animal welfare. 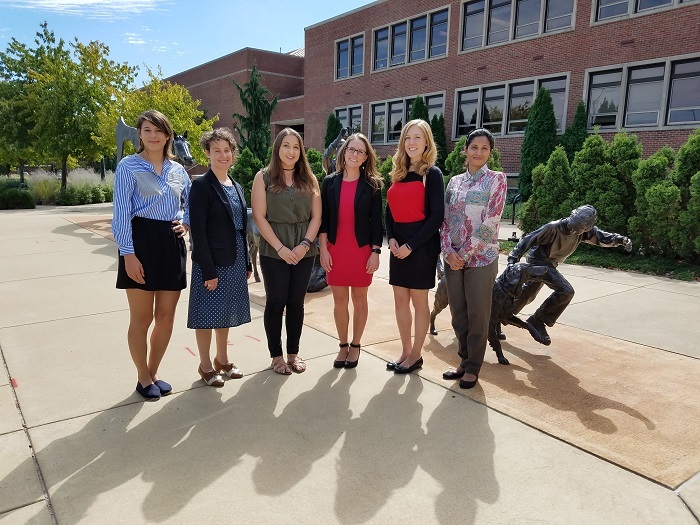 Students will also develop and test various animal welfare metrics and auditing mechanisms on-site, critique their merits, and identify outstanding real-world challenges relative to assessing and improving animal welfare. The topic of this course can change each semester but will be related to animal welfare and human-animal interaction. Examination of moral reasoning as it applies to epidemiologic inquiry and the methods of biomedical research. Topics include obligations to human and animal research subjects, ethical considerations in research design, data interpretation and fraud, funding of research, and public policy. A multi-disciplinary course that introduces students to the fields of animal welfare and the ethics of animal use. The course will emphasize farm animal welfare and production issues.